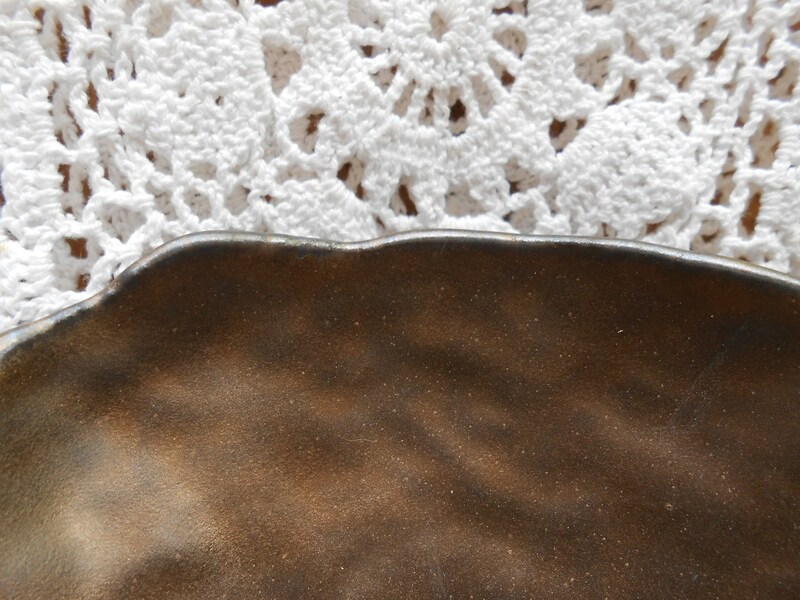 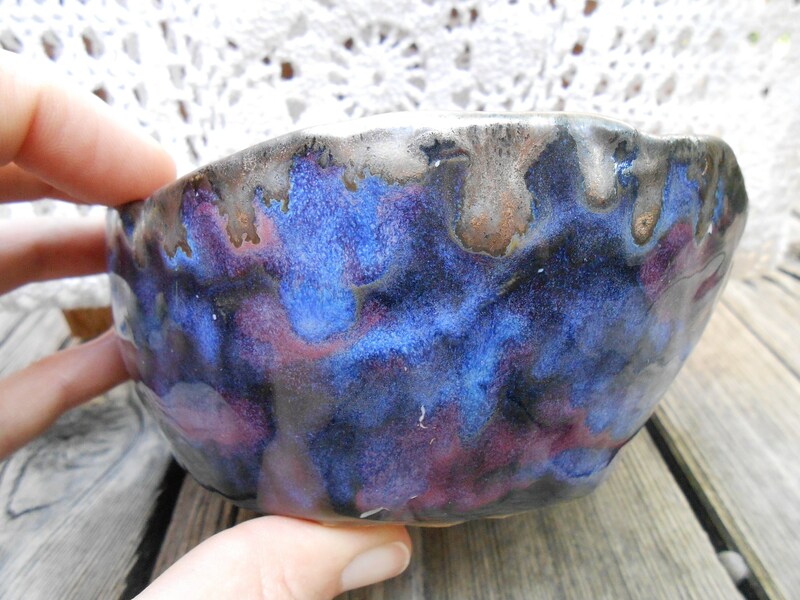 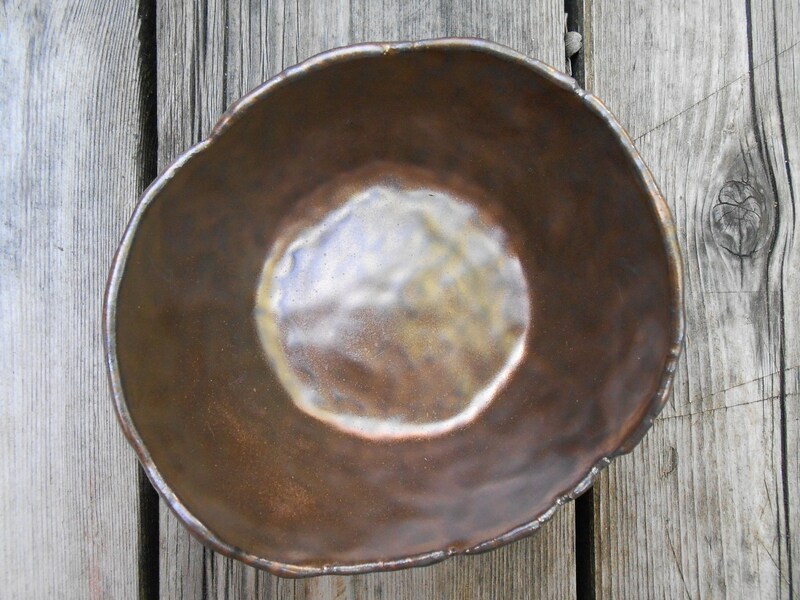 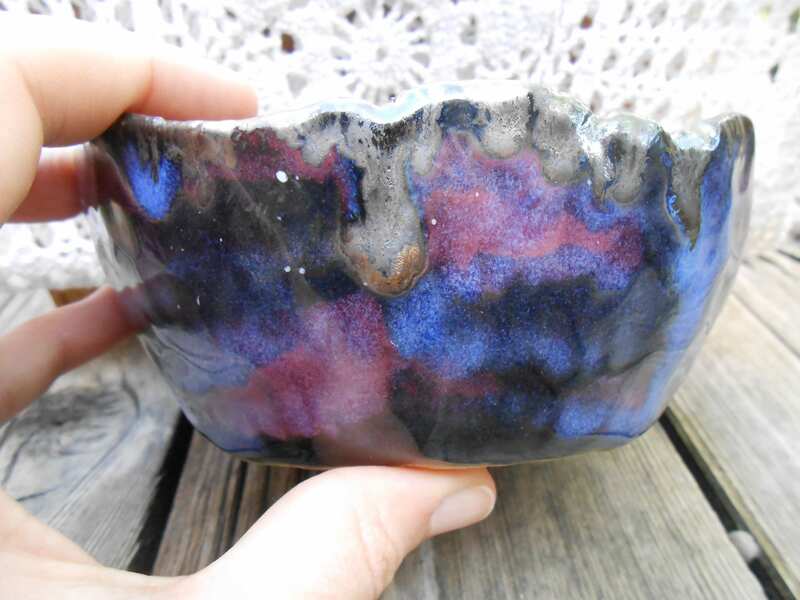 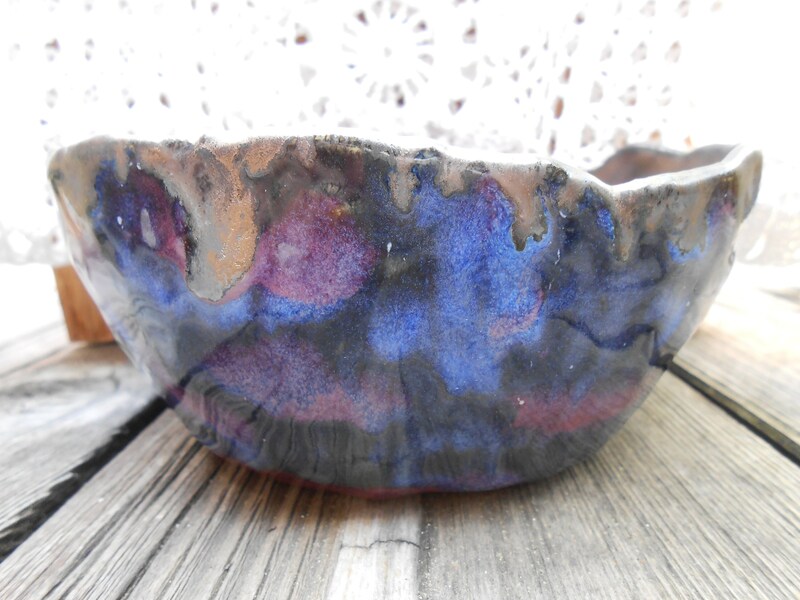 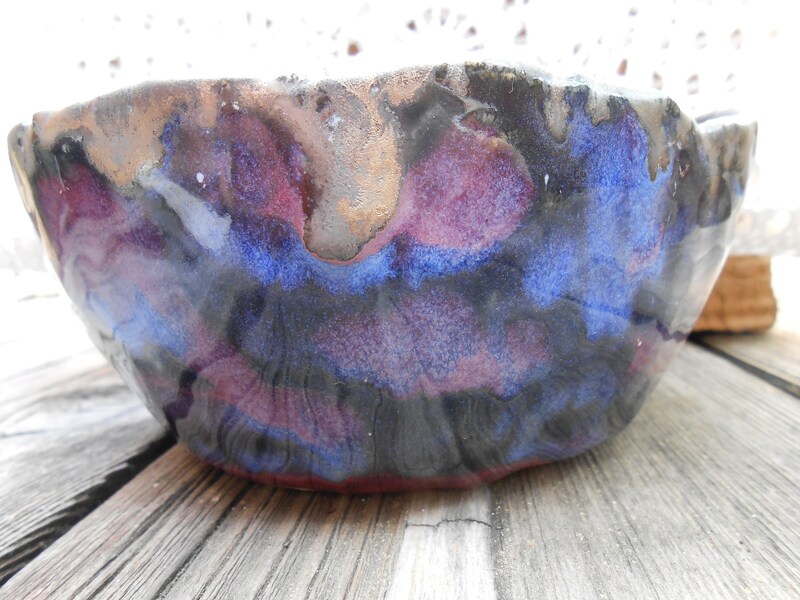 This other-worldly bowl is hard to capture in something as Earth bound as a photograph. 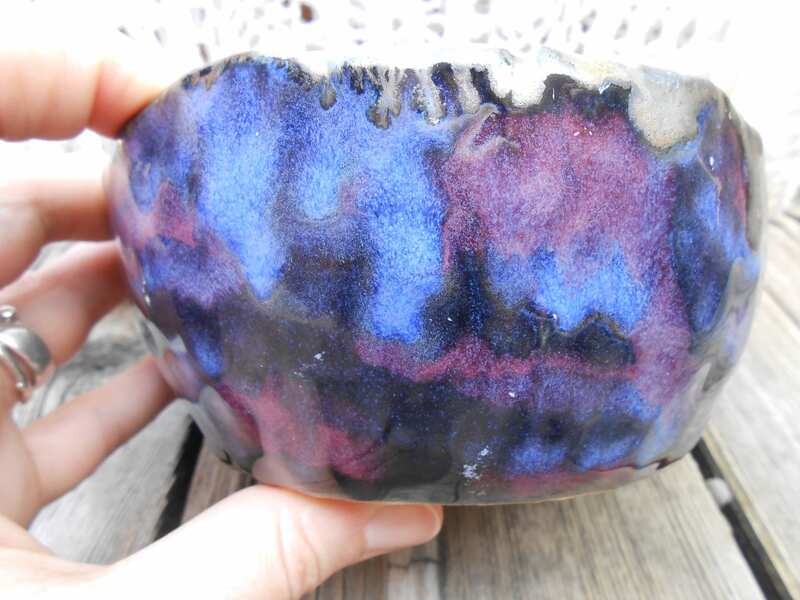 Swirls of blues, purples and black with specks of white stars on the exterior, the interior of this 4 dimensioned beauty is a rich gold glaze. 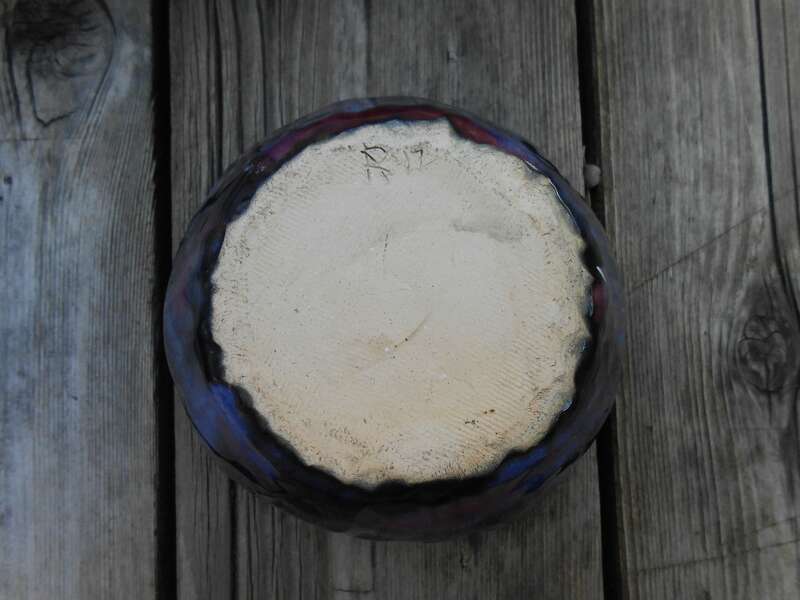 You'll never find another like it, on this world or any other.